No need to find item records manually, smartphone will recognize your item by its photo! 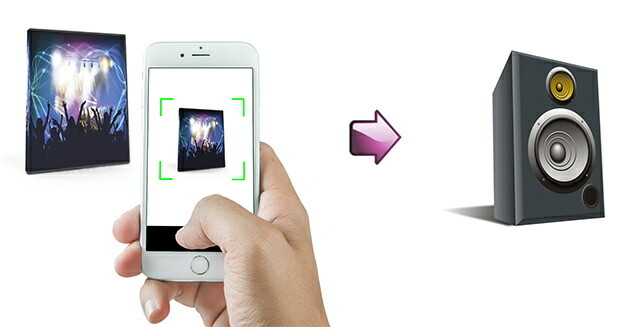 Scan any object with mobile camera to access its inventory data, open documents, play video or attach any other actions on your mobile or desktop! Cross platform inventory software (MacOS, Windows, Android, iOS) that can access and open item record by simply scanning it with your Smartphone camera. You don't need to search item record manually, remembering how it was named - Smartphone will automatically recognize your item by previously attached photos. Everything you need is to attach your item photos to DB entry or files. If you already have photos of object in the DB - no further actions required. Now you can attach any external files - PDF, Text, Spreadsheets, Videos, and additional actions to your object. Simply use your mobile to activate actions - open DB entry, open documents or spreadsheet, play video. 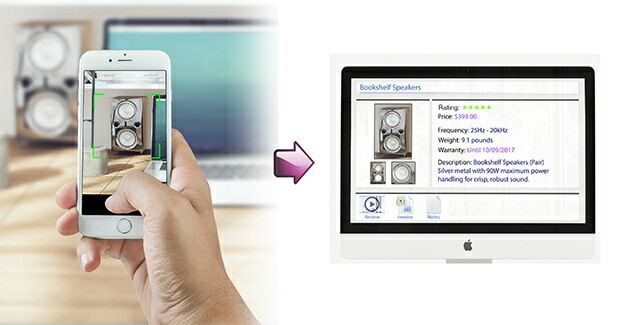 - scan your device - and manual with specs will be shown on your screen.